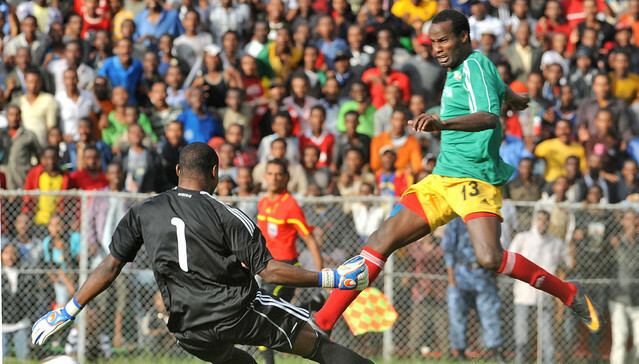 New York (TADIAS) – The Walya Antelopes, Ethiopia’s national soccer team, have enlisted a trio of foreign-based Ethiopian players as part of the line-up for the upcoming Africa Cup of Nations 2013, which is set to commence on January 19th in Johannesburg, South Africa. Coach Sewnet Bishaw has chosen 28-year-old Swedish-born midfielder Yussuf Saleh and 21-year-old Ethiopian-American footballer Fuad Ibrahim, in addition to the team’s star striker Saladin Said who plays abroad for Wadi Degla in Egypt. Yussuf comes from the Swedish football club Syrianska, while Fuad is currently playing for the Minnesota Stars in the North American Soccer League. Ethiopia is scheduled in group “C” and faces Zambia, Nigeria and Burkina Faso. The Walya’s opening match is against the defending champions Zambia on January 21st. Forwards: Saladin Said (Wadi Degla), Adane Girma, Umed Ukuri (both Saint George), Getaneh Kebede (Dedebit), Fuad Ibrahim (Minnesota Stars).